Ray Stevens’ Nashville is much more than an entertaining biography of a Comedy Music Legend who brought us multimillion selling hits like “The Streak” and “Gitarzan” or the Grammy winning cultural classics “Misty” and “Everything is Beautiful” along with the all-time top selling “Comedy Video Classics.” It is the story of how the sleepy southern city of Nashville grew and blossomed into the international music Mecca that it is today. Ray Stevens was there as it all came together, whether playing on recording sessions with Elvis and singing backup for Waylon Jennings or as a part-time substitute background singer with the famous Jordanaires, among many others. All of this in addition to winning the Music City News “Comedian of the Year” award nine years in a row for his unique comedy music. 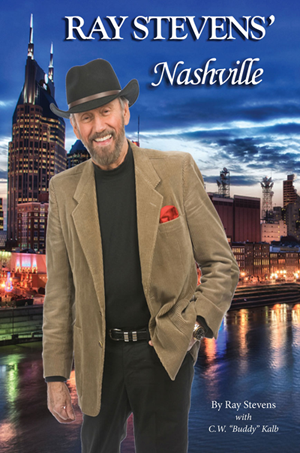 Ray Stevens’ Nashville is an entertaining insider’s look behind the scenes into Nashville’s recording studios and dressing rooms with one of the architects and laborers who built it and constructed the world famous “Nashville Sound”. This fun and informative read will have you laughing and learning with every turn of the page.